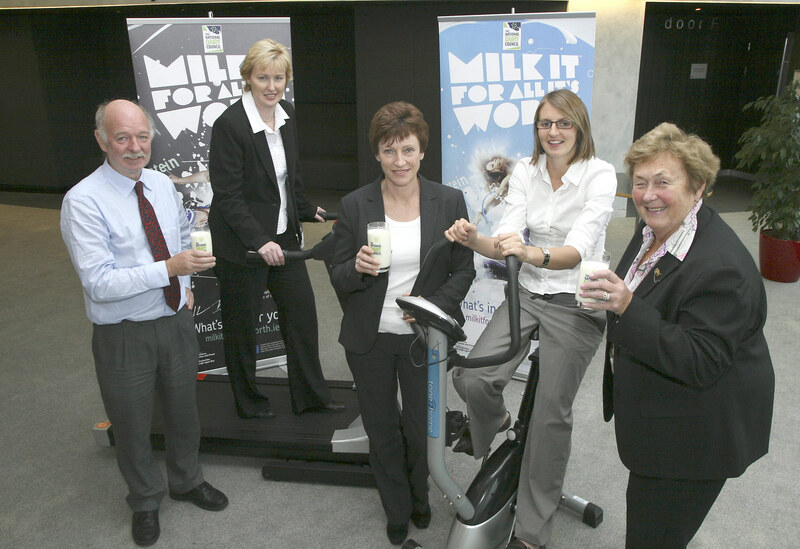 Sports coaches, personal trainers, fitness professionals, PE teachers and health professionals were amongst the delegates at a seminar in October 2010 to explore nutrition for athletes and the relationship between sport and dairy, sponsored by the National Dairy Council and held in Dublin. Pictured were speaking at the NDC Seminar, including – Professor Ron Maughan, School of Sport, Exercise and Health Sciences, Loughborough University; Helen Brophy, Chief Executive, National Dairy Council; Ruth Wood-Martin, Performance Nutritionist for the Irish Rugby Football Union (IRFU); Emma Cockburn, Department of Sport Development, Management & Coaching, at Northumbria University; and Professor Moira O’Brien, Irish Osteoporosis Society who has a long association with athletes having acted as doctor for the Irish squad for 3 Olympic games from 1979 to 1988 and through her work with Olympic athletes at the Human Performance Lab in TCD until 2007. The seminar was organised by the NDC as part of the “Milk In Action” programme, co-funded by the European Union, The Department of Agriculture Food & The Marine, and by the industry with funds raised through NDC members in the Republic of Ireland. 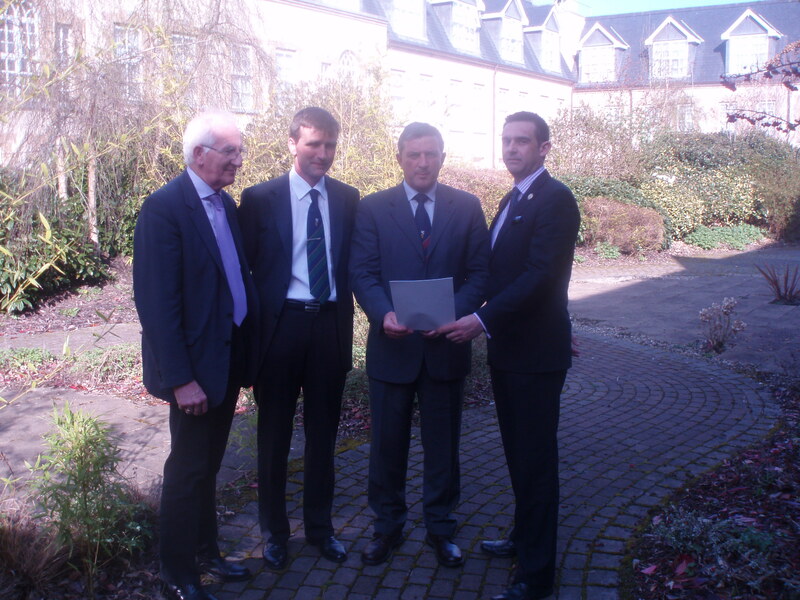 The Overall winners of the National Dairy Council Quality Milk Awards for 2010 were brothers Kevin & John Walsh, suppliers of milk to Glanbia. Pictured on their farm near Dungarvan were Helen Brophy, Chief Executive, NDC; Kevin & John Walsh; with Michael O’Neill, Glanbia. 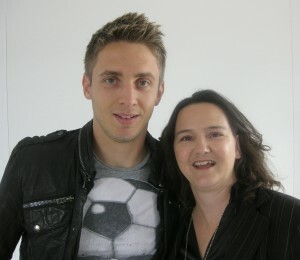 Irish Soccer International Kevin Doyle is pictured with Antonina Ni Dhuinn at the end of a day for the National Dairy Council at the 2010 National Ploughing Championships. 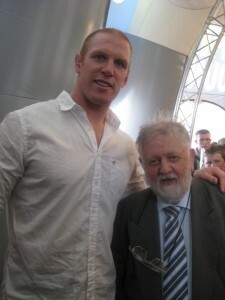 Rugby giant Paul O’Connell met with Munster-man Ray Ryan, journalist with the Irish Examiner at the NDC stand during the 2010 National Ploughing Championships. 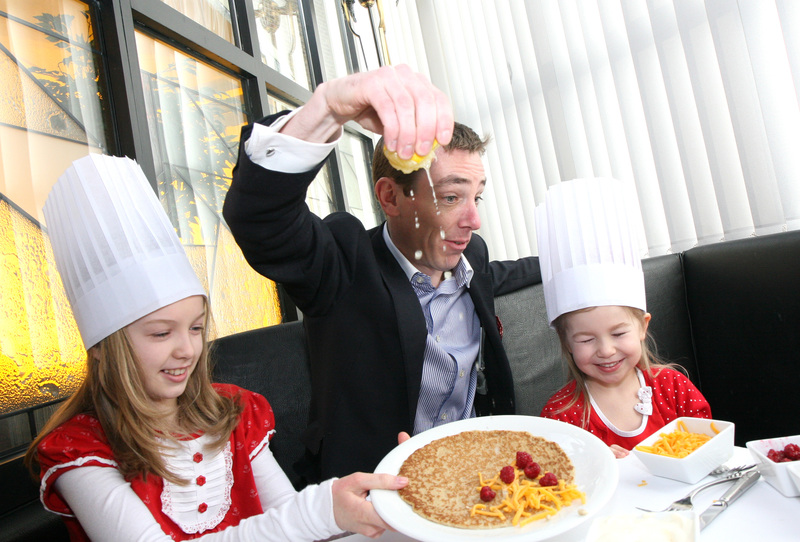 Irish Soccer International Kevin Doyle took on food guru Tom Doorley at the NDC Cheese Challenge during the 2010 National Ploughing Championships in Athy, Co Kildare. 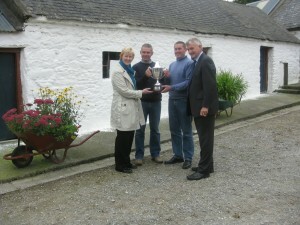 The NDC Milk It! 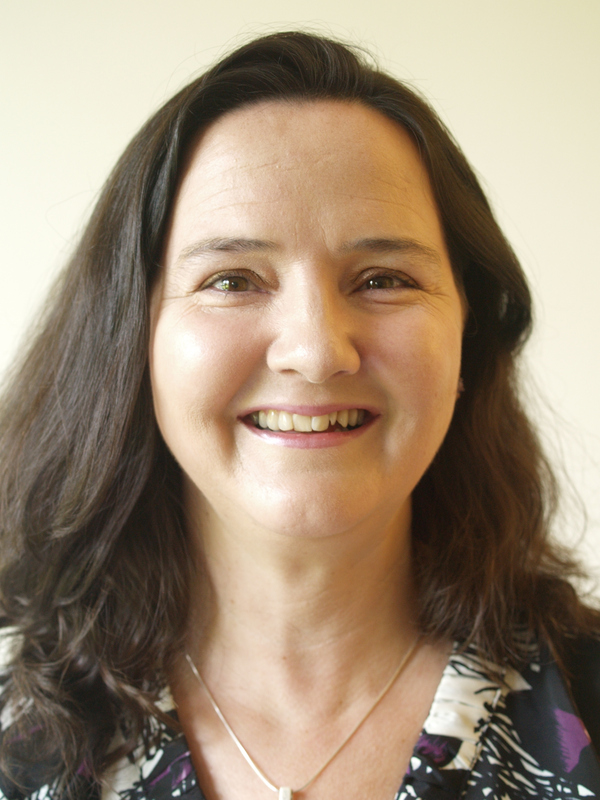 Advertising Awards is a competition inviting secondary school students in the Republic of Ireland to experience the creativity, challenges and thrills of working in ‘their own’ advertising agency; whilst providing teachers with a project with cross-curricular linkage potential. 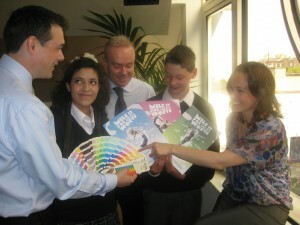 Brian Swords, President of IAPI (Institute of Advertising Practitioners); Doha Raguragui (2nd year, Ballinteer Community School); Richard Curran (Dragon’s Den guru and journalist who will be on the national judging panel); Ciaran McGreevy (2nd year, Ballinteer Community School) and Tara Regan, School Programme Manager with the National Dairy Council. 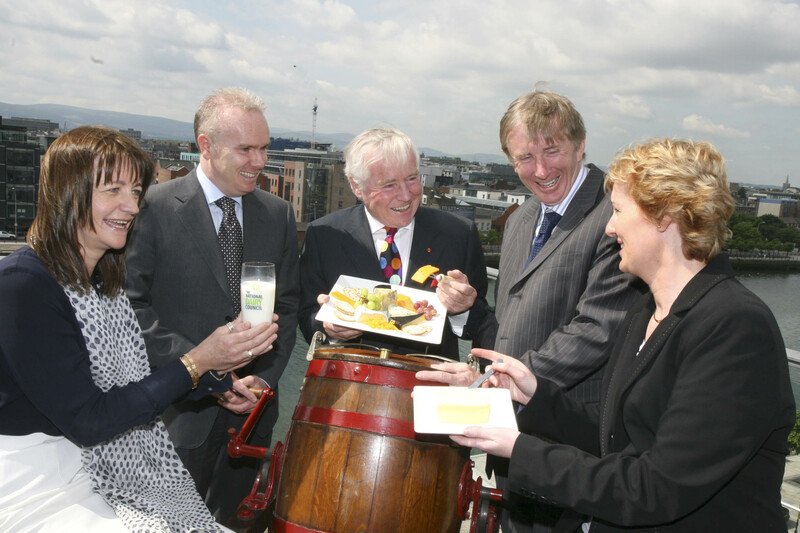 At the Clarion Hotel in Dublin for the 2010 NDC Annual Conference were guest speakers Dr. Mary Flynn, Chief Specialist in Public Health Nutrition, FSAI; Richard Curran, from The Dragons Den & Sunday Business Post; Senator Feargal Quinn and Professor Patrick Wall, Associate Professor of Public Health, UCD with Helen Brophy, Chief Executive, National Dairy Council. RTÉ broadcaster Ryan Tubridy is pictured in 2010 with Charlotte & Kerri Patten from Clontarf, Dublin, supporting the annual message from the NDC & Irish Osteoporosis Society that pancakes can be a simple and fun way of helping you to consume your recommended ‘3 portions of dairy a day’ for bone health and wellbeing. At the 2009 National Ploughing Championships well over 6,000 signatures were collected from members of the public, personalities and politicians in support of local dairy farming. Anna May McHugh and Anna Marie McHugh of the National Ploughing Association are pictured signing the NDC ‘Wall of Support’ for local dairy farmers at the NDC stand during the 2009 National Ploughing Championships.